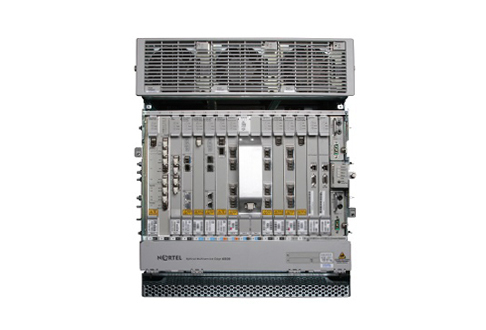 Nortel’s optical multiservice edge 6500 series is designed to deliver significant aggregation, transport, management and switching of leading, revenue-generating services using Ethernet, TDW and WDM capabilities. Build on a circuit-based TDM private line and multiple other unique configurations to expand and support as your network requires it. Worldwide Supply offers a variety of refurbished Nortel OM6500 equipment, including recent expansions that come after Ciena purchased the 6500 series IP from Nortel. Our used Nortel OM6500 equipment also supports and enhances the capabilities of new compact 2RU chassis and platforms with the Ciena 6500-D2 packet optical platform. Grow your operations with every investment thanks to OM6500 models that are cost-optimized for the delivery of information in multiple settings over 2.5, 10, 40 and 100G wavelengths. Support some of the broadest ranges of service modules and multi-protocol transport needs for today’s business-critical applications including Ethernet, wireless backhaul and transparent wavelength services. Refurbished Nortel OM6500s are future-ready thanks to the support and continuation of new partners, allowing them to scale with your network growth during installation and as you continue to expand in the future. Today, you can support volume delivery of 40G interfaces using an adaptive optical engine, while tomorrow you’re able to use programmable foundations to boost 100G and 400G deployments with security across every transmission. With used and refurbished Nortel OM6500 series equipment, Worldwide Supply will help you maximize your potential revenue through smart service delivery. Plus, we back all the equipment we sell with a limited lifetime warranty, full inspection, certified technicians and all the parts or equipment you need to keep them in working order for years to come.